You’ve seen them, right? Those mega couponing, bulk purchasing, extreme super moms who leave the store with $500 dollars worth of groceries for just $26.85. Maybe your family longs to pay cash for everything, never to worry with credit cards or bank loans again. Maybe you just want to have money left over at the end of the month. There is a common thread to be found. Make a plan and stick with it. And when your goal involves money, that plan is called a budget. I disliked the word budget when I was growing up. If something wasn’t in our budget it meant my brother and I had to do without. What a novel idea…to do without because you can’t afford it. Family budgets come in all shapes and forms but one thing is certain, the way your student embraces their finances begins at home… with you! Let’s look at a few ways to develop good budgeting practices with your children, starting today. Often, projects fail because they weren’t well thought out. 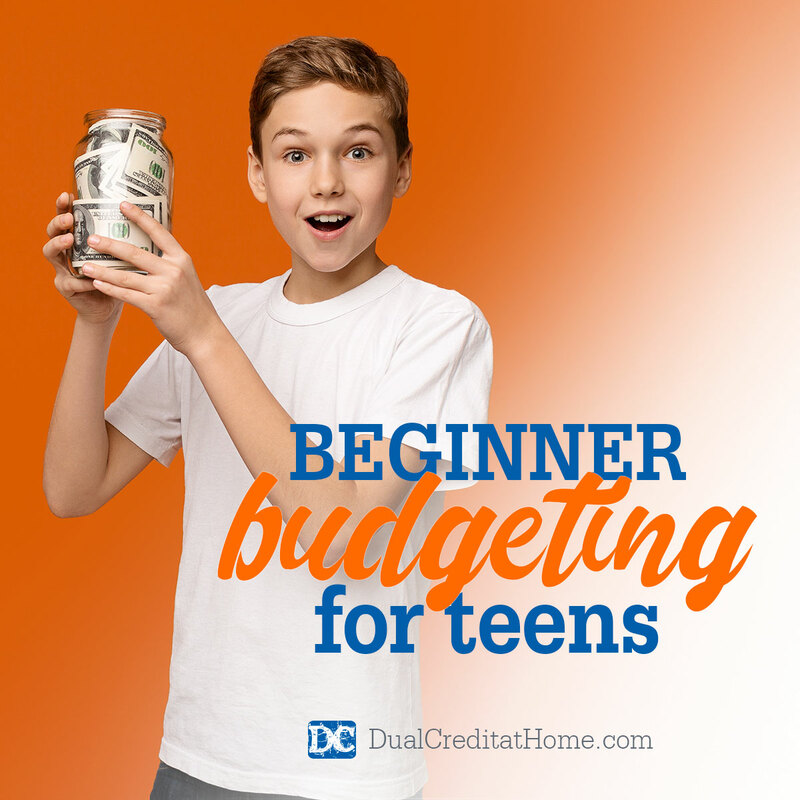 Teaching your students about budgeting doesn’t have to be difficult. One of the most important elements of a beneficial budget is determining the difference between “wants” and “needs”. On one of the back pages of your student’s notebook or spiral, have them make a list of all their expenses for one month. If they don’t know for sure where their money is spent, have them keep a record of every item they spend money on, no matter how small. Seeing is believing, so keeping a notebook that is clear and concise is important. If a budgeting goal isn’t met, note why they fell short and what they can do differently in the future to meet their goals. Maintaining a visual log will allow them to see the amount of spending money available as well as the bulk of their expenses. Be sure to add in a line item for fun! Not every month will be stellar. Whether it’s an unforeseen pop-up, a mathematical error, or an unexpected splurge, realizing that the expenditure was outside of the budget and making corrections in the future is significant. You don’t have to share all of your personal budgeting nightmares with your child, but allow them to see that even adults make mistakes or have frivolous purchases every now and then. Find ways to be creative. Because we had custody of our twin nieces through high school, the state issued custodial payments for each of them. Once they turned 18, the final year of support could be paid to them directly. We decided to use their senior year as a way to help them prepare for being on their own. We set up checking accounts for both girls and helped them with a budget. They wrote a check to us for electricity, rent and food for practice. They also purchased their own personal care products. It was a good way to learn about paying bills in a timely fashion. Oh the apps that you can find!! Everyone wants to help you take care of your money. Once you’ve looked at the “why” of budgeting, help your child find tools to teach “how” to maintain the budget you’ve put together. Consider Dave Ramsey’s homeschool curriculum or Evangelical Christian Credit Union’s homeschool program as options. If you still have electives to secure for your child’s high school transcript and your state’s laws allow, turn your budgeting plans into a personal finance class. Our children need to know and fully understand the benefits of maintaining a budget. The financial habits they create at home will follow them into adulthood so take the time to set them off on a good foot…you might benefit as well!